Shortly after the attacks of September 11, 2001, Kevin Lacz left college to join the Navy with orders for SEAL training. He would go on to graduate with BUD/s Class 246, and eventually land with SEAL Team Three. By 2006, he was fighting in Ramadi, Iraq, working primarily as a sniper and medic. In 2008 he returned to Iraq, working again as a sniper, medic, and also breacher - SEAL certifications that made him the only member of his platoon qualified to participate in any operation the platoon planned. During his time in Iraq, Kevin also worked alongside American Sniper, Chris Kyle. Their close relationship led to Kevin working as a technical advisor, as well as playing himself, in Clint Eastwood's 2014 film, "American Sniper." 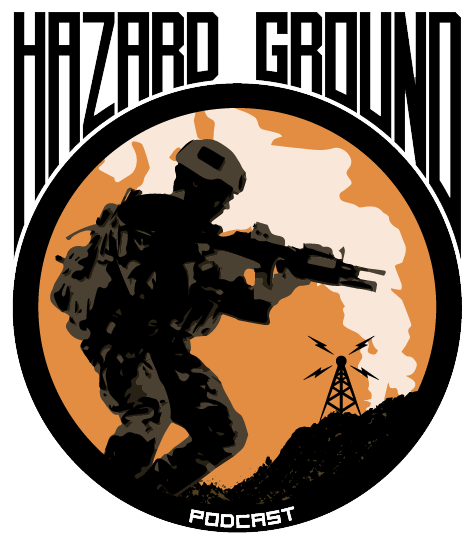 Kevin talks about that experience as well as surviving combat, and losing not just teammates, but what it's like to lose a piece of yourself on the battlefield, in this latest edition of HAZARD GROUND!